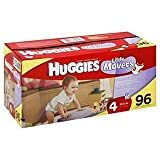 Huggies Little Movers Diapers Size 4 96 Count (Disney Winnie The Pooh) 23% Off at $42.91, save $13.08. Nurtured by Nature Environmentally-Sensitive Diapers, Jumbo Size 3, 124 Count 24% Off at $41.09, save $12.85. 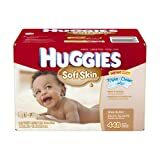 Huggies Soft Skin Baby Wipes Pop-Up Refill, 448 Count (Packaging may vary) 20% Off at $11.95, save $2.94. 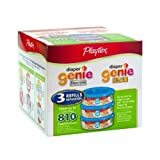 55% Off at $3.12, save $3.87. 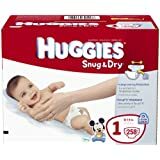 Huggies Snug & Dry Diapers, Size 1, 258 Count 11% Off at $49.49, save $6.32. 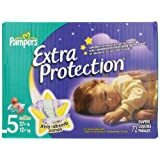 Pampers Extra Protection Diapers Size 5 Super Pack 72 Count 29% Off at $25.45, save $10.2. 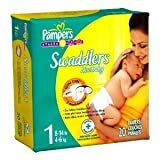 Pampers Diapers Size 1 (8-14 lbs) 20 count 34% Off at $9.90, save $5.09. This entry was posted in Diapers, Wipes on November 2, 2014 by admin.